Summer camp and program considerations. In recent years, sports camps have become increasingly popular. Even traditional summer camps are offering sports activities as value-added enrichment programs. While these types of programs can be excellent for fitness, coordination, and socialization, a keen eye must be kept on safety. The American Academy of Pediatrics recommends that before choosing a camp, parents should assess their child's skills; interests; and overall physical, mental, and emotional well-being. This will help them evaluate their child's ability to effectively participate in a particular camp setting. This type of evaluation is essential when considering camps that require an increased level of physical fitness. What type of training does the staff receive? According to the American Camp Association (ACA), camp staff members should be trained in emergency procedures, abuse prevention, safety regulations, communication, behavior management techniques, appropriate staff and camper behavior, and supervision. Additionally, the director should be able to provide references. Are criminal background checks done on all staff members? How many references do you require for staffers, and how do you check them? Under what circumstances are camp personnel allowed to be alone with a camper? The answer should be none. What is the counselor-to-camper ratio? This is especially important for camps offering sports-oriented activities due to the potential for injury. At day camps, ACA standards require the following ratios: one staff member for every six campers ages 4 and 5, one staff member per eight campers ages 6 to 8, one staff member for every 10 campers ages 9 to 14, and one staff member per 12 campers ages 15 to 17. How old is the equipment that will be in use, and how often is it maintained or replaced? When inspecting facilities, be sure to note the condition of the equipment. Safety apparatuses, such as mats or pads, should be in a state of good repair and free of visible damage. Let your child take an active role in his safety by reviewing some basic guidelines before heading to camp. Make sure your youngster agrees to obey all camp rules and always wear the required safety equipment (sports goggles, mouth guard, pads). Encourage your child to stay hydrated by drinking plenty of water and to immediately report any illness or injuries. Promote stretching before sports activities as this can help prevent muscle sprains or tears. 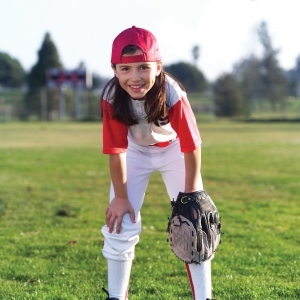 With a little research and diligence, you can make sure that your youngster has a positive and safe experience participating in sports programs and activities this summer. The benefits of physical activity are universal for all children, including those with special needs. The participation of children with disabilities in sports promotes inclusion, optimizes physical functioning, and enhances well-being. However, children with special needs require unique considerations when participating in sports-training camps. According to The American Academy of Pediatrics, well-informed decisions regarding each child's participation must consider overall health status, safety precautions, and the availability of appropriate programs and equipment. ff all necessary information and enroll your youngster in a program that is appropriate for his unique needs. training, background checks, and camp-to-counselor ratios, parents should request additional information. Some examples of questions to ask are: How are children grouped for activities? How many medical personnel are on staff, and what are their qualifications? Additionally, a camp director should be able to discuss how the camp will specifically meet your child's dietary needs, personal hygiene needs, and any other individual needs. For an extensive list of camps for youngsters with special needs, visit the National Dissemination Center for Children with Disabilities.